my inner knowing, the senses of my body, the blessings of my spirit. with the passing of each glorious sun. 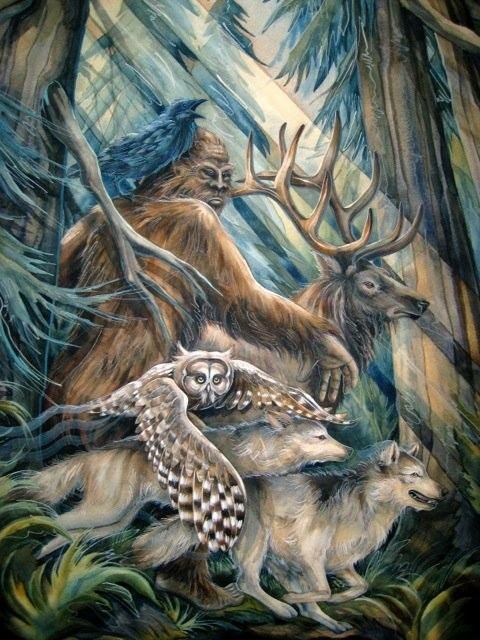 Our Elder Brothers, the Sasquatch, and others who are watching over the present leap in Humanity’s evolution, are asking us to open up to the inter-connectedness of all life. They even say all that is manifest is an expression of the one Consciousness. My wife, Alia, wrote down a delightful and enlightening vision she received some years ago. Enjoy her portrayal of our potential here on our Home Planet! I have posted this before, as part of my series “Aurora — City of Light,” first shown to me in a vision in the spring of 2012 and “recorded” by me over the next six months or so. One of the last paragraphs in this Message 50 speaks of a sacred portal and a bridge towards spiritual inter-species relationships that has been opened. For me this message has renewed my soul’s desire to truly live each day, each moment with a sense of the sacred and the mystery that this living Universe is, and that each of us, including every tiniest being, is essential to its integrity. To sense the presence of these Elder Brothers that are just waiting for each of us to be ready to connect with them is empowering and inspiring. I feel the influx of energy to continually wake myself up from the stupefying trance that creeps up on me and keeps me in the habits of conditioned mass-consciousness. Thank you SunBow TrueBrother and all who have contributed to bringing these messages out for us all. If you want to connect to the Facebook Group related to this message, here is the link. If you want to read all 50 Chapters, here is the link. Here is link to a PDF of the complete text. This is the next post on Alia’s blog that I am re-posting. It continues the series of Messages to Humanity from the Sasquatch. These messages have had a very deep impact on me since I began reading them about a week ago. The bottom line is that I (once again) feel the rug has been pulled out from under my feet. All that I ‘thought’ I know has more or less evaporated and I am recognizing this false sense of ‘knowing’ as the real hindrance to opening further awareness. This awareness that is dawning is also a growing sense of a visceral connection to such beings as the Sasquatch, who are standing by and waiting for us to release our tremendous adamance and arrogance. Only then can we ‘hear’ their advice, support and promptings which they are most likely desiring to give us continuously all the time. My Comments: These messages give a continuous history of the evolution of consciousness with Earth as its vehicle. The perspective of the Sasquatch people goes back to the first preparation and development of the planet as a sentient environment for biological life which is capable of spiritual evolution. It describes the first seeding of genetic material eons ago. If you are a student and researcher of consciousness as I am, you will find this narrative captures your attention from the first read. The two messages here are a thumbnail sketch of the entire narrative. As you progress through the messages (up to currently 44 messages) the information becomes increasingly detailed. There is a link to all the messages is below. 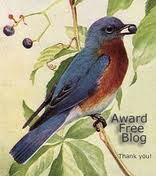 I am posting this message from Alia’s blog, New Earth Paradigm. I believe you, as I have, will find this information very revealing. It connects many ‘dots’ that I have been tracking for at least the last decade. The recent disclosure by whistle-blowers and researchers such as Corey Goode, David Wilcock and others corroborates what our ‘Elder Brothers’ from the Sasquatch people are telling us. The main intent of New Earth Heartbeat has always been to present expressions of those who have cleared their consciousness of the conditioning through the matrix on this planet so as to point out how this can be done by each of us. These messages from the Sasquatch add great urgency to this intention. May each of us intensify and deepen the earnest with which we overcome the controllers grip on our minds and free our Hearts to support all efforts for the New Earth of Peace and Freedom for all beings.